Screenshot from the freshly charged iPhone of Scene's Sam Allard. Speaking of RTA and the good its doing: It occurred to us that we hadn't yet notified our readers of an important development on the RTA mobile app. 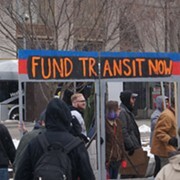 It now offers single-trip fares. For $2.50, you can purchase your single-trip ticket on your mobile device. As with the other mobile tickets, you present your screen to fare-enforcement officers, vehicle operators, or ticket workers at Tower City once your ticket has been activated. For the single-trip fare, the pass is active for one hour after purchase. Also effective Jan. 1, Paratransit customers can now buy 1-Ride, Paratransit All-Day Passes, Paratransit 7-Day Passes and Paratransit Monthly Passes. 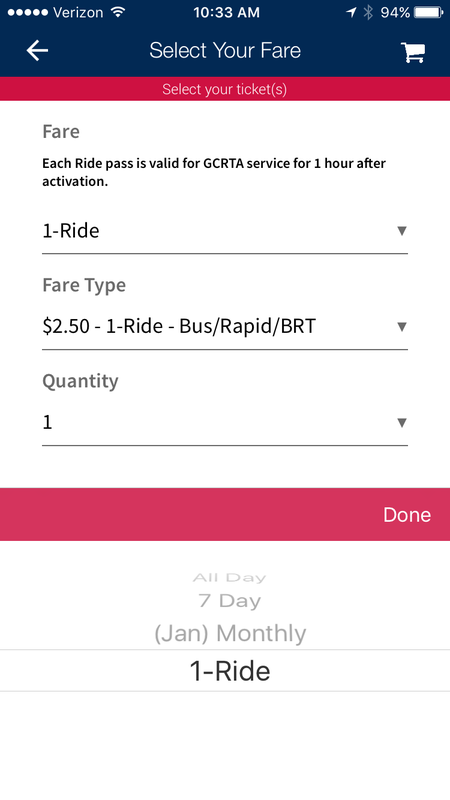 The mobile ticketing app — RTA CLE — is free and available for iOS and Android.